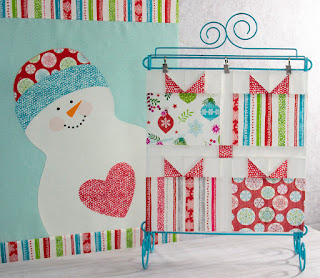 Today we're featuring Cherry Guidry's Hearty Gifts block using her Hearty the Snowman fabrics. 1. Draw a diagonal line on the wrong side of the B squares. 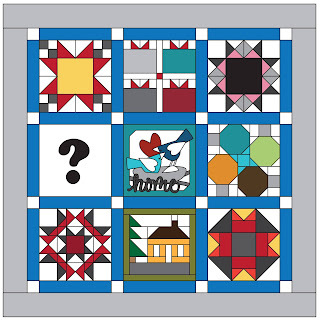 Place a marked B square over an A square, right sides together, and sew a ¼" seam on either side of the drawn line. 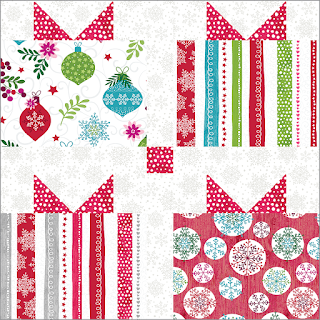 Cut on the drawn line and press the seams toward the A triangle. 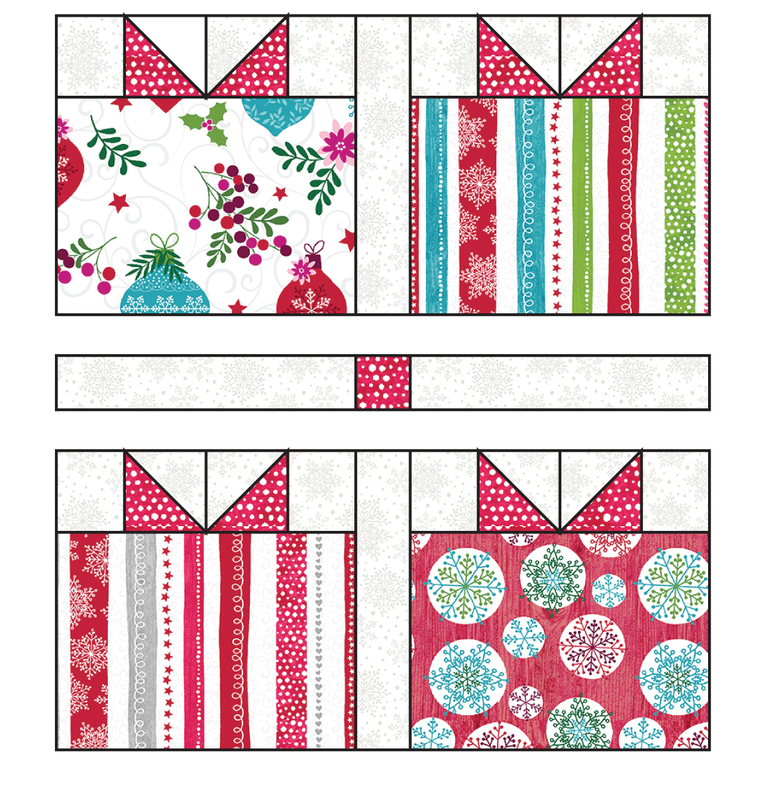 Trim the A/B units to measure 2" square. Repeat with the remaining A and B squares for a total of (8) A/B units. 2. 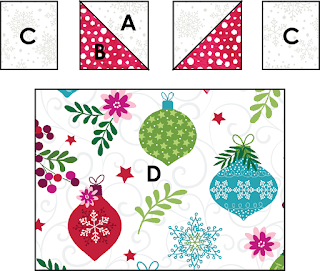 Sew 2 A/B units and 2 C pieces into a row, and then sew onto the top edge of a D piece; press seams toward D. Repeat for a total of (4) gift units. 3. 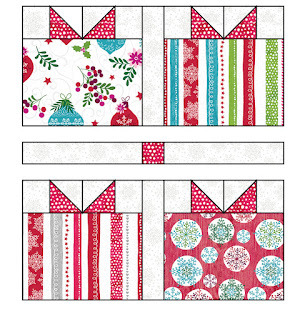 Sew a gift unit to the left and right edges of an F strip; repeat. 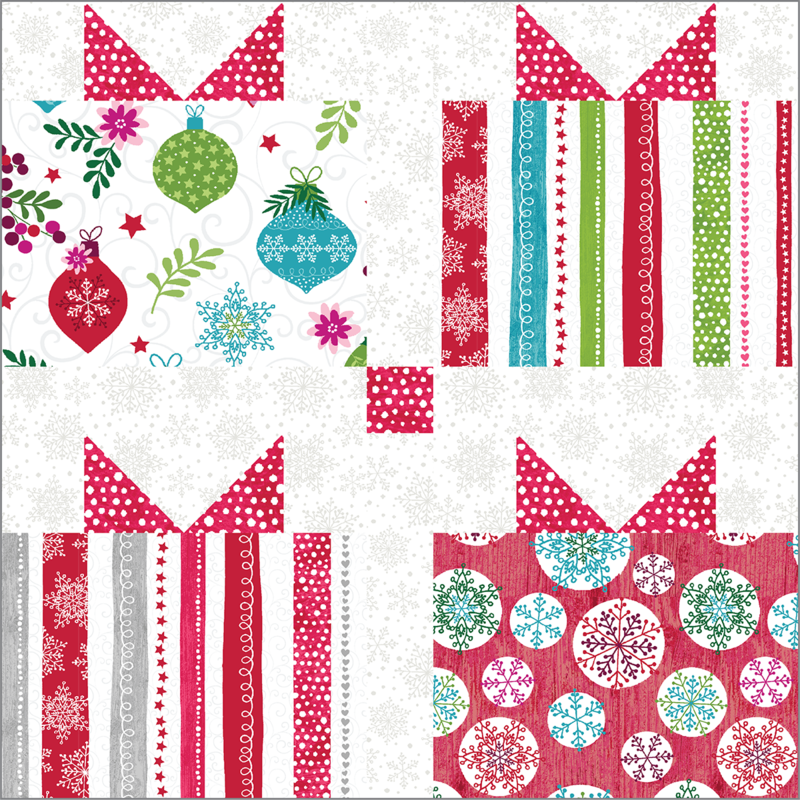 Sew an F strip to the left and right edges of an E square. 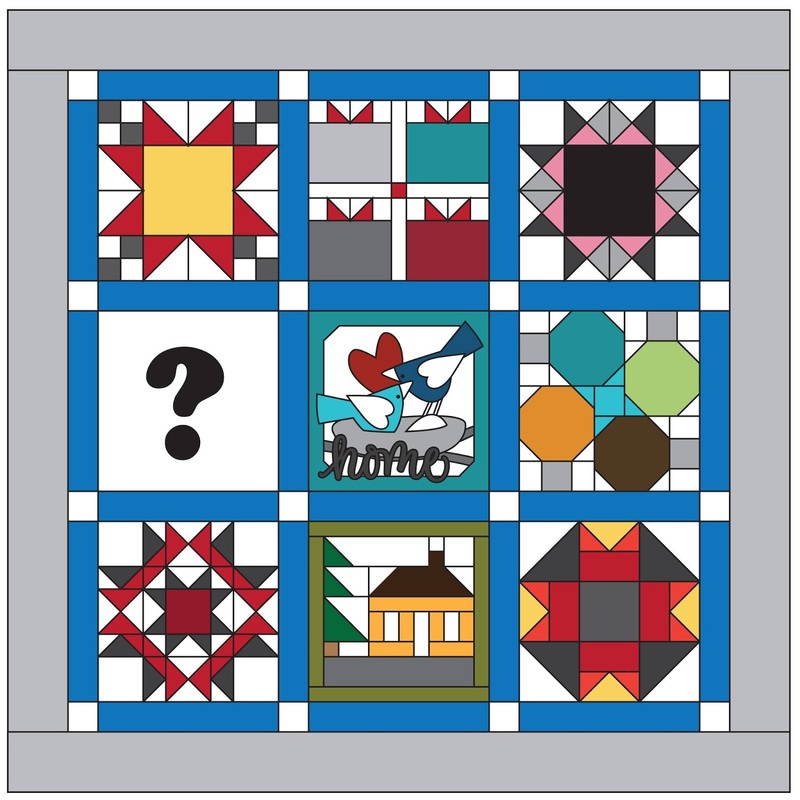 Sew the units together to make the Hearty Gift block; square the block to measure 12 1/2" square. 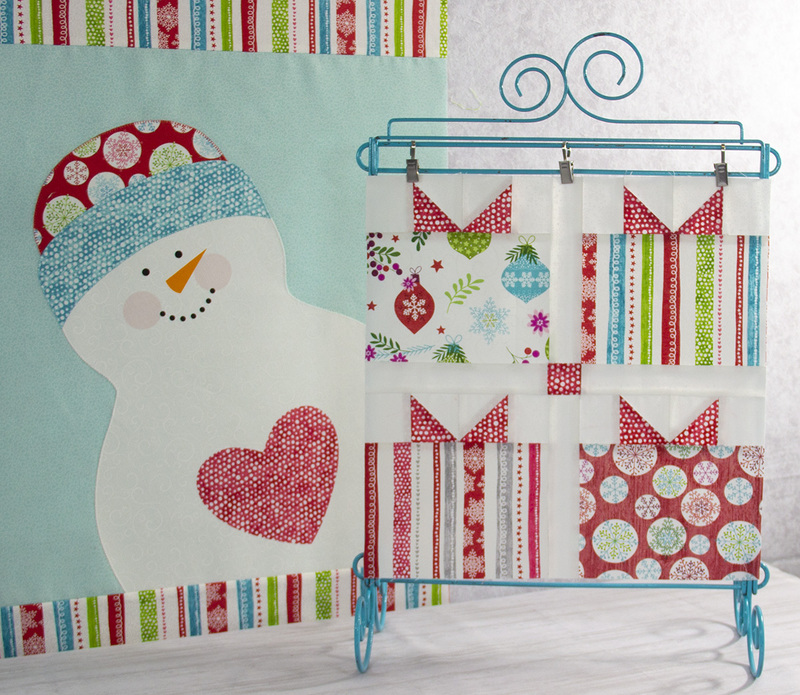 Click here to see the entire Hearty the Snowman collection.